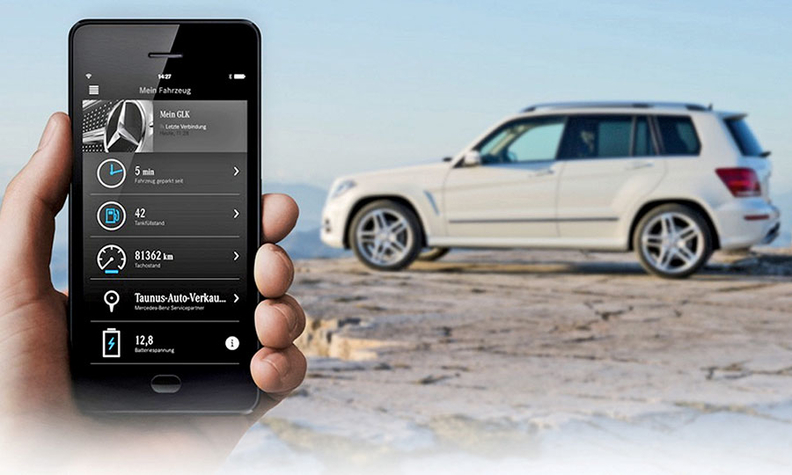 Mercedes-Benz has begun testing Mercedes Connect Me, which enables customers to remotely check the fuel level of a vehicle, track mileage for expense reports or find a lost vehicle. Though they're all dongles, the gadgets that plug into the under-the-dashboard OBD-II data port fall into 3 categories. 1. Smartphone app enablers (Automatic, Mojio, Vinli, Zubie): By harnessing OBD-II data, plus their own cellular and GPS connections, these dongles are linked to smartphone apps so owners can do things such as find a lost vehicle. 2. Insurance trackers (Metromile, Snapshot): Customers who buy these dongles agree to let insurance companies monitor their driving patterns in exchange for potentially lower rates. 3. Cellular connectors (Verizon Hum, AT&T ZTE Mobley): AT&T's dongle is a mobile hotspot. Verizon's offers security features akin to General Motors' OnStar. Both are ways for telecom companies to link with old cars. DETROIT -- Don't underestimate the power of something small and cheap to shake up old, powerful industries. Just ask cable TV providers, which are losing customers to streaming services such as Netflix as customers plug thumb-drive-size dongles such as Google's $35 Chromecast and Amazon's $40 Fire TV Stick into their older high-def TVs. Automakers rarely try to tangle with sellers of aftermarket parts. But in the case of dongles -- which threaten automakers' control over the connectivity services that increasingly define today's vehicles -- there's now some pushback. Mercedes-Benz's gadget offers many of the features that have lured customers to Automatic, Vinli and Zubie, such as the ability to remotely check the fuel level of a car, track mileage for expense reports or find a lost vehicle. This is especially useful for older vehicles, which lack the built-in capabilities of modern connected cars. 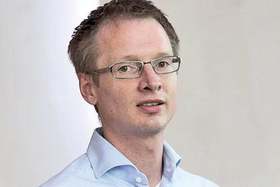 "There is demand in the market," Christoph Hartung, head of connected car at Mercedes-Benz, told Automotive News Europe sister publication Automotive News at the Detroit auto show. "We all see that." Unlike dongles from Automatic and Vinli, priced between $150 and $200, Mercedes Connect Me lacks a dedicated cellular connection, GPS beacon or sensors to detect movement, and it's likely to be priced much lower. It relies instead on a Bluetooth link to a smartphone, partly to mitigate the risk of a car being hacked or tracked. "We take security and privacy very, very seriously," Hartung said. "So our dongle is Mercedes-proven. It stands up to the same standards as all the other products that we are offering, and we know that not all dongles do that." Vinli CEO Mark Haidar said Mercedes-Benz's fears are justified. When engineers designed OBD-II for emissions testing, they connected the data port to a vehicle's most safety-critical computers, hardly imagining that it would someday be used as a hub for wireless communications. For this reason, Vinli invested in a customized "read only" design that blocks its dongle from sending any data to the car -- even to clear the check-engine light. "Most of the OBD devices on the market are not secure," Haidar said. But as older, nonconnected cars are replaced by newer, connected cars, today's startups may need to pivot away from their original business, ABI wrote. This is already happening. "If we want to take this to the next level, with more features, with more access to a car's data and dashboard," he said, "a partnership with the automaker is critical."